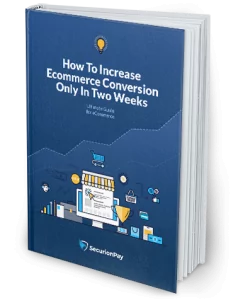 SSL (secure socket layer) certificates are very important in today’s world of online business, so any website that wants to accept online payments must implement this concept. Continue reading to see why SSL really matters. SSL certificates will not only benefit your e-commerce website, but your customers as well. If you want to be successful in the online world you must take the necessary steps for gaining confidence of your website visitors and potential customers. SSL is an encryption method for online security which is used to secure data that is being transferred from the customers to the website. SSL certificates give immediate security and ensure the customers that their data is kept safe at all times. This is done by displaying a green address bar or a padlock. SSL certificates protect your site and make your online reputation grow. In order for your site to work properly, it stores all of your website details and information on a server. When you buy a SSL certificate you also get a digital certificate that protects your online stored data. Thanks to the digital certificates, your website visitors and customers can read the data on your page. The certificate serves as a proof that you are who you claim to be and that the server is what it claims it is. SSL certificates prevent the online fraudsters to act and pretend like they are someone else, so your customers can feel safe all the time and will return to your site. A great feature of SSL protection is that it makes all transactions private. The certificates encrypt and protect all the data that is used on your site, such as personal information, debit or credit card numbers, login details, etc. It adds random digits to the information and that makes it impossible for anyone to determine the important details. As soon as the customer information gets transformed into different characters, the website owner needs an encryption key in order to decode and read the information you have sent. Do not be afraid if the information gets into wrong hands, because all of it will be unreadable and useless. A main reason why you need a SSL certificate for your website is the customer confidence. If the customers see that you take all measures to protect their personal information, their trust in your website will increase. You should always make the SSL certificate icon visible on your website so your visitors will clearly see it. Not just you as a website owner, but your customers will benefit a lot from SSL. When the customers see that the website implements SSL certificates, they will feel more comfortable providing their personal information. They will know that the website represents a safe and reputable company that cares for its customers. An important thing to have in mind is that SSL certificates do not completely eliminate the possibility for identity theft. However, websites that use SSL are significantly more protected against any threats for stealing information. Basically, it is a must in today’s modern world of doing business.